Crocs Canada has a great promotion going on this weekend. You can enjoy shopping with discounts on the official website. You can save 25% off sitewide. Offer is valid on regular-priced items and also on already reduced items. Discount is applied in cart. You can also take an advantage of free shipping on all orders of $100 or more. 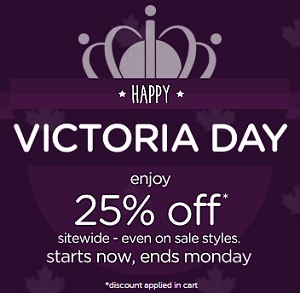 Offer is valid at Crocs Canada online only and expires on Monday, May 23, 2016. Official source of the information is Crocs Canada. For more information about this promotion visit Crocs Canada online.